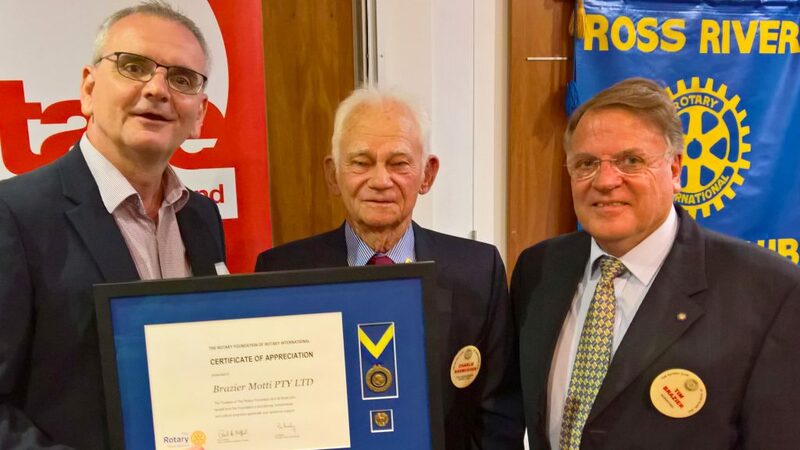 In June, Brazier Motti was presented with a Paul Harris Fellow from the Rotary Club of Ross River in Townsville. We are extremely honoured to have received this acknowledgement in recognition of our community work alongside Rotary in Townsville over the years. North Queensland is a fantastic community, in no small part thanks to the contribution of organisations like Rotary. It is a privilege to be able to work with Rotary clubs across the region, including as a supporter of the Townsville Rotary Markets and a regular sponsor of the annual Rotary Charity Golf Day in Cairns. We were also excited to see one of our Drafters, Sara Rosso, honoured by the Rotary Club of Ross River with a Pride of Workmanship award. Sara makes an outstanding contribution to our team and we congratulate her on receiving this recognition for her work!